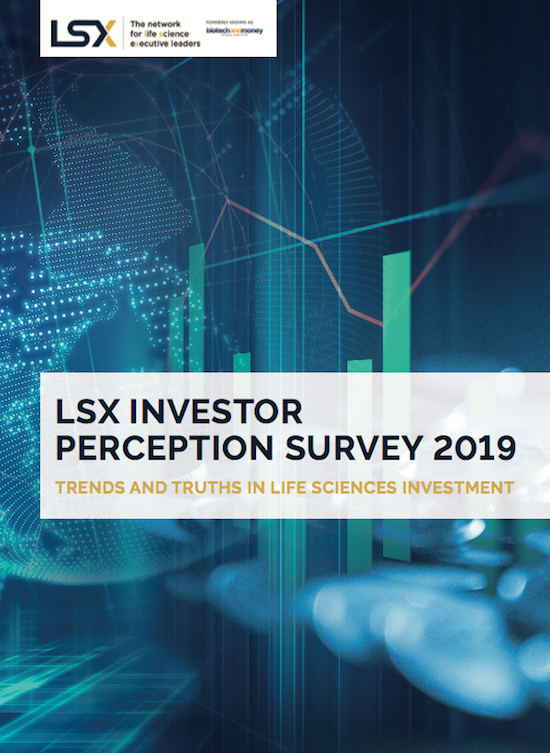 The 3rd annual LSX Investor Perception Survey tracks sentiment, aims, and preferences among the life science investment community. It has been designed to identify developing investment trends, to enable life sciences companies to better understand investors' priorities and areas of focus, and to allow investors to benchmark their approach against those of peers. The report, which is free to download, is based on an online survey and telephone interviews with life science investors. It features insights and commentary from a range of investors, analysts, and industry experts. LSX (formerly Biotech and Money) is an influential community of senior life science decision makers. Through our impactful events, powerful thought leadership content and unique networking opportunities, we exist to forge a fundamentally better way to promote and facilitate investment, financing, partnerships and deal making in healthcare.